Love Cats and David Bowie? You Need This Tee. Model and artist Langley Fox teamed up with Wren to create this ridiculously adorable tee to support No Kill Los Angeles animal shelters. 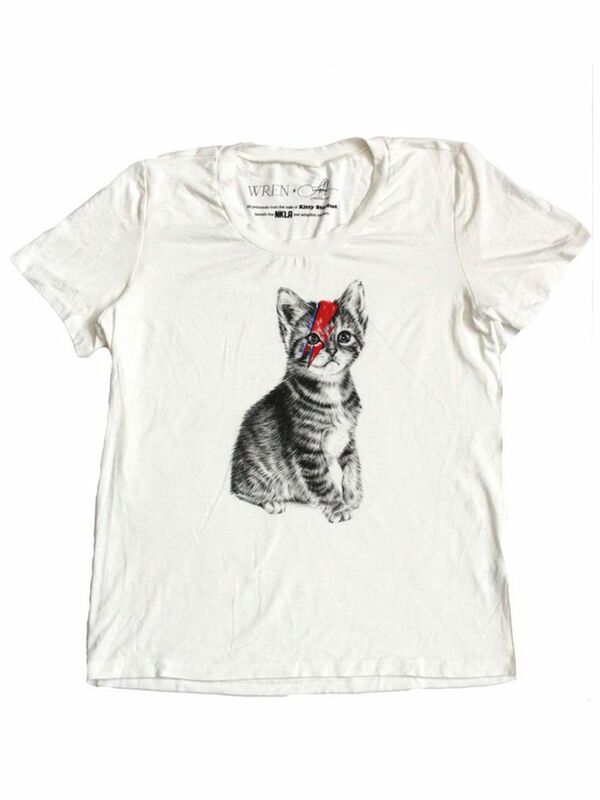 Aside from the fact that you need a Bowie-inspired kitty shirt, why not support a great cause? Our thoughts exactly! Scroll down to shop the tee!